When my arms legs were so dreadfully dry and itchy that I scratched until – well, big ouch – Bioderma Atoderm Shower Oil helped save them. I&apos;ve written about this particular shower oil before, but my skin thinks I&apos;d better remind you all about it because WINTER, and that other time was in a long-over giveaway post. 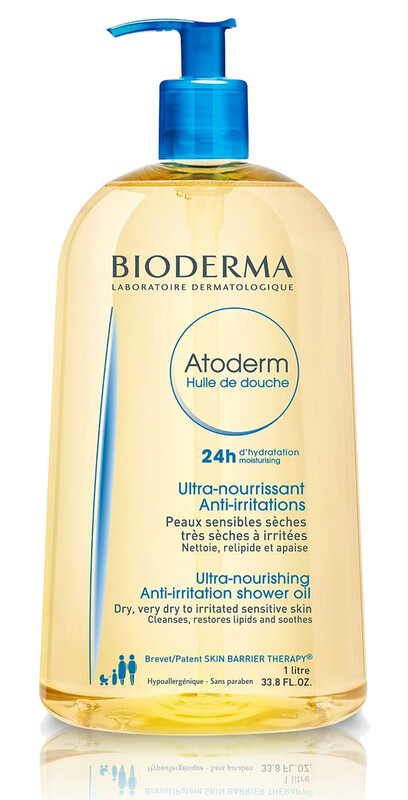 "You gotta post about Bioderma Atoderm Shower Oil again," said the skin on my arms and legs, and that&apos;s weird because I only ever hear from it when it&apos;s peevish or downright cranky. "You know the fight against terrible dryness starts in the shower, with a cleanser that doesn&apos;t strip us of our natural lipids," it said. "We&apos;re in good shape right now because this shower oil stuff keeps us soft and supple. You can&apos;t wait for us to whinge about dryness before you talk about this shower oil again because it ain&apos;t happening – no dryness here." Made with glycerin, lipid components from coconut and sunflower oils, and Vitamin B3, Bioderma Atoderm Shower Oil lathers lightly and washes off easily. Paraben-, colourant-, sulfate- and soap-free, the formula gently cleanses without drying skin out – it won&apos;t send your moisture levels into a deficit before you even get out of the shower. 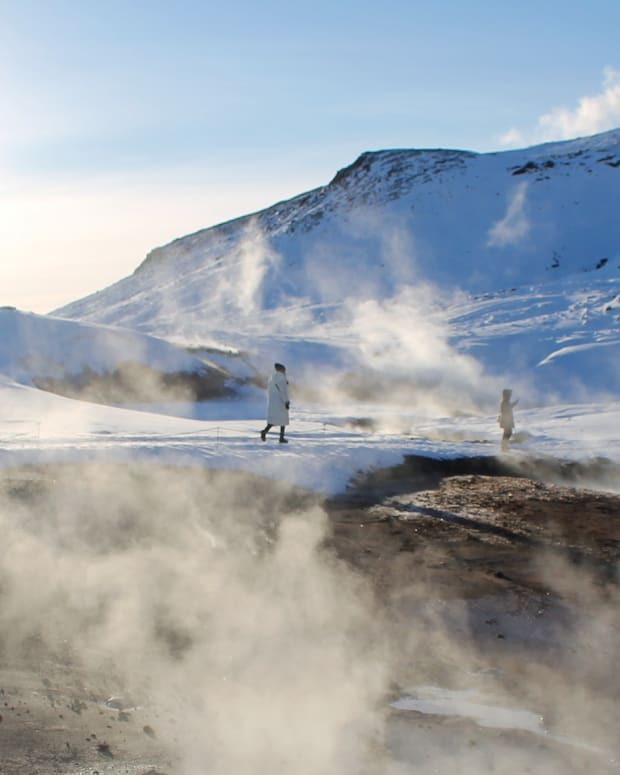 (Tip: remember to keep that shower water temperature at warm, never hot, no matter how arctic the outdoors.) By the way, Atoderm Shower Oil is gentle enough for baby skin and for your face, too. And it comes in a handy family-sized 1L pump bottle as well as a 200mL version. There is fragrance in the shower oil – Bioderma&apos;s reasoning is that a little nice scent will boost enjoyment and encourage daily use – but it&apos;s a mild, simple scent designed to be as benign as possible; it gets diluted quickly under the shower spray and lingers only briefly on skin once you&apos;re out of the tub. Another tip: get body lotion on skin within three minutes of patting dry. What lotion you say? 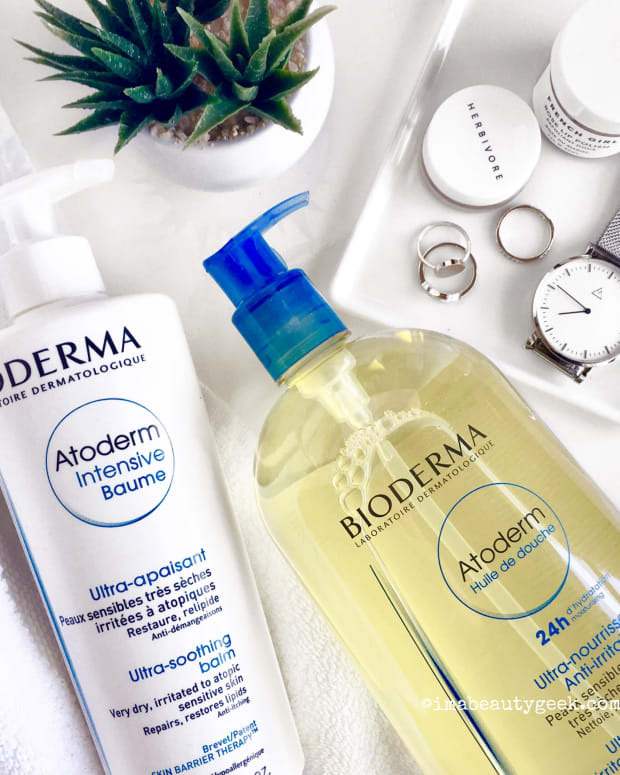 I had great results with Bioderma Atoderm Intensive Baume ($18.91 CAD at amazon.ca and $24.90 USD at dermstore.com), a fragrance-free balm made with glycerin, mineral oil, sunflower seed oil and ceramides. The texture is a little waxy, which is probably part of why it works really well as a barrier cream, especially for sensitive, super-dry skin. Worth noting is that ceramides are particularly useful to excessively dry as well as eczema- and psoriasis-prone skin; the theory is that normal skin has a much better natural supply. Often called the "mortar" between cells, ceramides help keep moisture within the stratum corneum and bind moisture to the epidermis. 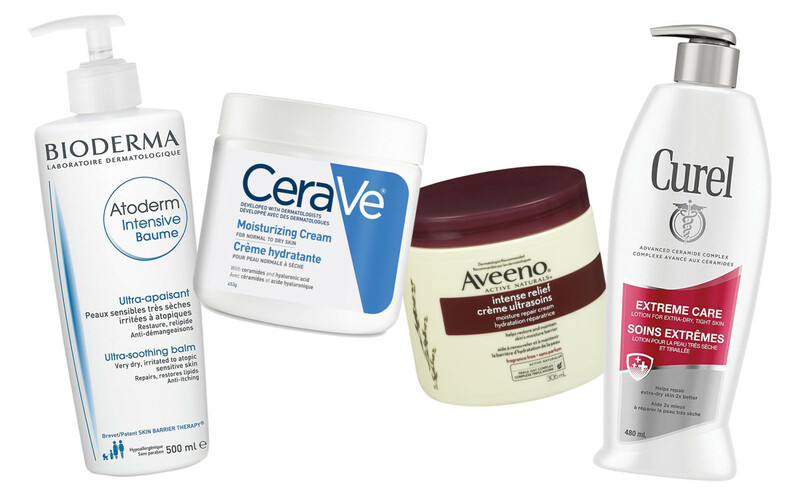 Synthetic ceramides seem to get the job done just as well, so look for lotions such as CeraVe Moisturizing Cream ($19.97 CAD at walmart.ca and $16.99 USD at walgreens.com), or Curel Extreme Care ($8.46 CAD at walmart.ca) aka Curel Ultra Healing Lotion for Extra Dry Skin ($7.79 USD at walgreens.com), that feature them in the formula. Atoderm Intensive Baume, CeraVe Moisturizing Cream, Aveeno Intense Relief and Curel Extreme Care all contain ceramides to help repair and reinforce skin&apos;s protective moisture barrier. Colloidal oatmeal – "colloidal" in this case means microscopic particles – is also helpful for binding moisture to the skin&apos;s surface. 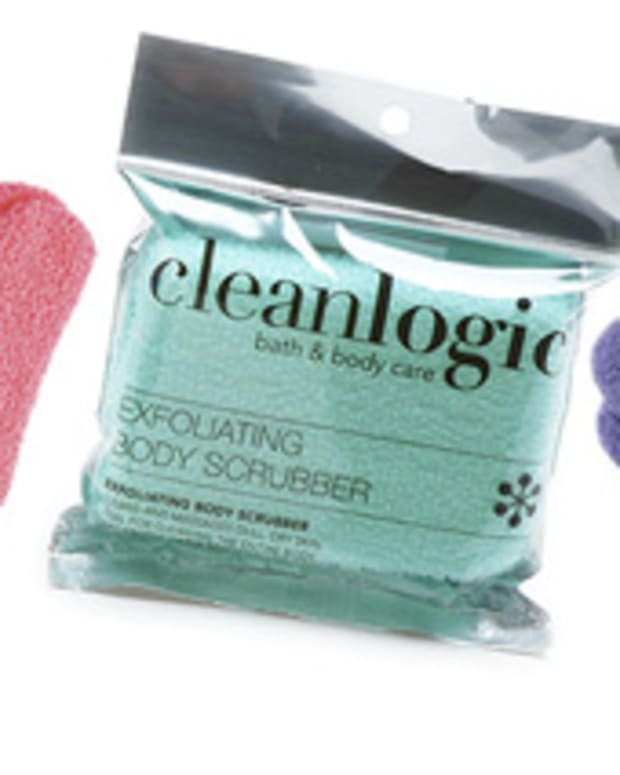 Pioneered by Aveeno, it&apos;s what makes the brand&apos;s body lotions and creams so popular. (Just think of how much milk or water your morning oatmeal absorbs if you let it sit, and imagine something like that on your skin.) Daily Moisturizing Lotion is good for everyday use, and I&apos;m a fan of the silky, fresh-scented Positively Radiant version, but if you need something more intensely conditioning and protective, try Aveeno Intense Relief Moisture Repair Cream ($15.77 CAD at walmart.ca) or Aveeno Skin Relief Moisture Repair Cream Intense Moisture ($14.79 USD at cvs.com) – both contain ceramides as well. Also note that these body lotion options likely all contain mineral oil, aka paraffinum liquidum, aka liquid petrolatum. Despite all the petrolatum bad-talk out there, it&apos;s still a useful barrier ingredient where compromised skin is concerned because it&apos;s 100% inert. That means that unlike essential oils or botanicals, there are zero "active" components in petrolatum that might cause reaction in skin hyper-sensitized by dryness – it functions basically like a protective band-aid that keeps moisture in and bad stuff out. 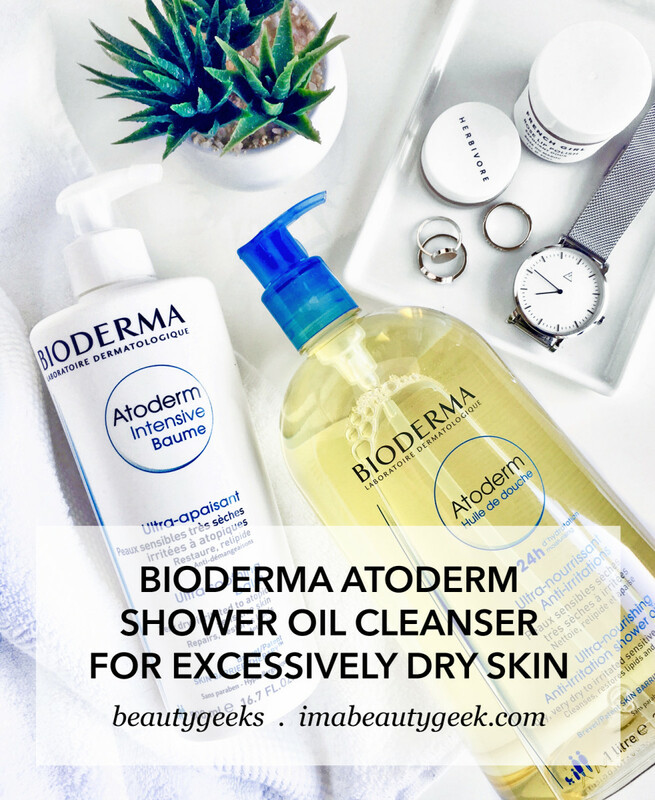 Have you tried Bioderma Atoderm Shower Oil yet? Does your skin already have a hero to save it from winter&apos;s dreadful dryness? CERAVE MOISTURIZING CREAM INGREDIENTS: Aqua, Glycerin, Cetearyl Alcohol, Caprylic/Capric Triglyceride, Cetyl Alcohol, Ceteareth-20, Ceramide NP, Ceramide AP, Ceramide EOP, Phytosphingosine, Cholesterol, Hyaluronic Acid, Sodium Lauroyl Lactylate, Dimethicone, Petrolatum, Behentrimonium Methosulfate, Potassium Phosphate, Dipotassium Phosphate, Phenoxyethanol, Methylparaben, Propylparaben, Disodium EDTA, Carbomer, Xanthan Gum. CUREL EXTREME CARE BODY LOTION INGREDIENTS: Aqua, Glycerin, Petrolatum, Cetearyl Alcohol, Dimethicone, Behentrimonium Chloride, Isopropyl Palmitate, Cetyl-PG Hydroxyethyl Palmitamide, Butylene Glycol, Methylparaben, Ethylparaben, Benzalkonium Chloride, Citrus Aurantium Dulcis, Avena Sativa, Butyrospermum Parkii, Eucalyptus Globulus, Sodium Lauroyl Lactylate, Gelatin, Acacia Senegal Gum, Cholesterol, Ceramide NP, Ceramide AP, Phytosphingosine, Carbomer, Xanthan Gum, Ceramide EOP. AVEENO INTENSE RELIEF MOISTURE REPAIR CREAM INGREDIENTS: Water, Glycerin, Distearyldimonium Chloride, Petrolatum, Isopropyl Palmitate, Cetyl Alcohol, Dimethicone, Avena Sative (Oat) Kernel Flour, Avena Sativa (Oat) Kernel Oil, Avena Sativa (Oat) Kernel Extract, Ceramide NP, Butyrospermum Parkii (Shea) Butter, Benzyl Alcohol, Methylparaben, Steareth-20, Isopropyl Alcohol, Sodium Chloride.